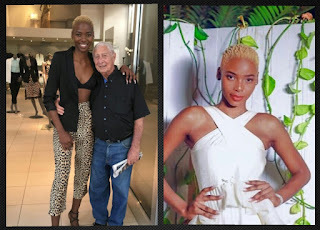 A South African lady with twitter account @ZimMsomi, has caused lots of reactions from people when she took to the social media platform to share a photo she shot with her aged white lover and indirectly revealed why she married him. 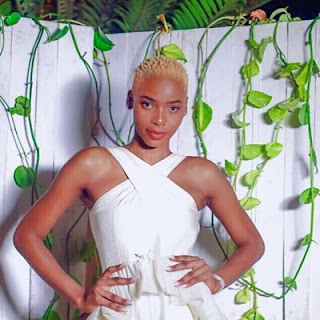 @ZimeMsomi’s photo has since caused a frenzy on Twitter – she captioned the photo ‘ securing the will ’ – and that apparently, has caused the stir it’s meant to cause. The reverse “Expropration of our women without lobola in the hope of a will going in their favour. A pensioner that young has his will concreted & in most cases excludes u, cc. Get a grip & look for a job. Some chic takes a pic with her “severely” old white compatriot and says “waiting & or counting on inheritance” & says I must chill when I criticize. Someone pliz call 911.